Well, my very own website is live and it is super exciting! I’ve been thinking about creating a portfolio website for a while, and I finally did it! 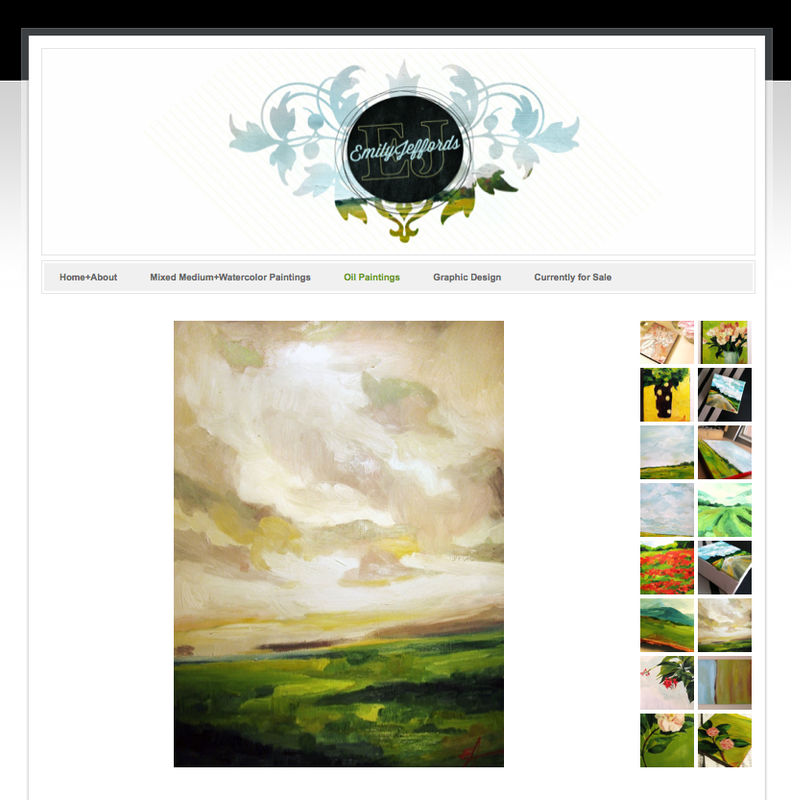 This site is a little complex because it’s a combination of my fine art portfolio and my design portfolio. I can’t split the two sites of me, so I didn’t! Do you think it’s confusing? Too full? Not specific enough? Seriously, I would love some feedback! I decided to use the same style header as the BeautifulHelloBlog header. I just love it… I did, however inlay a painting in the background… just a little fine art + design fusion (fitting right?). you are so very talented! i think it is a great way to share everything you do, with both painting & graphic design. it will allow your clients to really see your full scope of creative gifts! Thanks guys! I keep finding more things to change or add to it, but this site is a good start. The site looks awesome, is easy enough to navigate. Having similar headers is always a great idea. It’s like your identity and you let people know that it’s you. And needless to say, the artwork is amazing too. I discovered your blog a few weeks again through WordPress and signed up straight away cause I too am an artist. I am in the process of building a website in WordPress and have also struggled with whether to put all the things I do on one site or split them up. I too have gone for the one site so…. go girl! I love your new website and am now thinking of switching to Weebly as it looks so great and so simple in comparison to WordPress. Good luck with the new website. Cheers. Thanks for the comments! Good luck with your site and blog! It’s exciting stuff, isn’t it?